These are substantial, longer earrings with a bit of a baroque, ornate style. 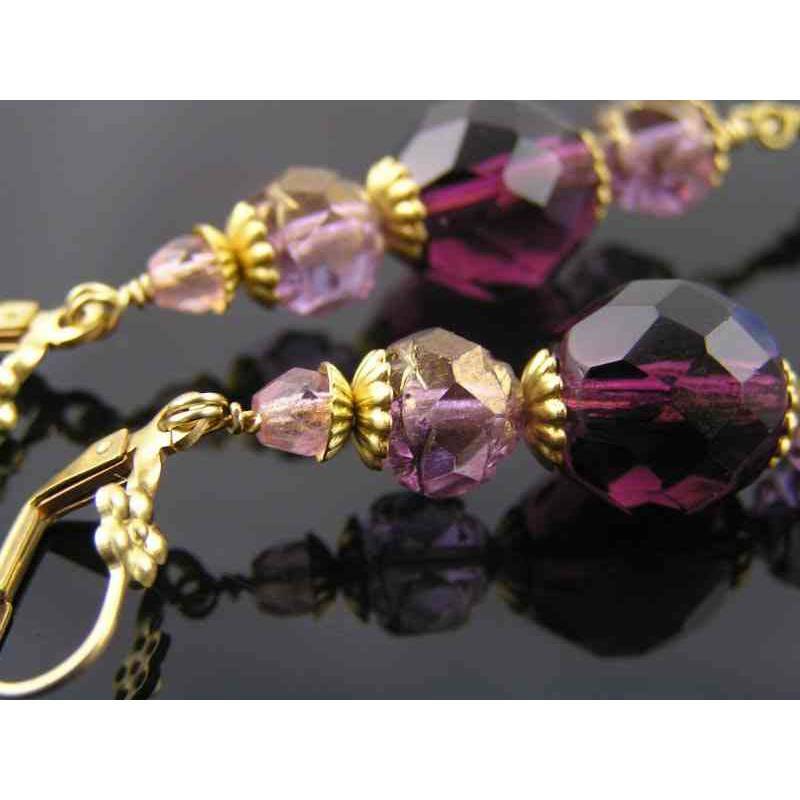 You will feel instantly glamorous with these dangling, sparkling beauties. I have used a collection of high quality Czech beads: long slender sky blue drops, rose shaped amethyst beads with a golden finish and large faceted amethyst coloured round beads. 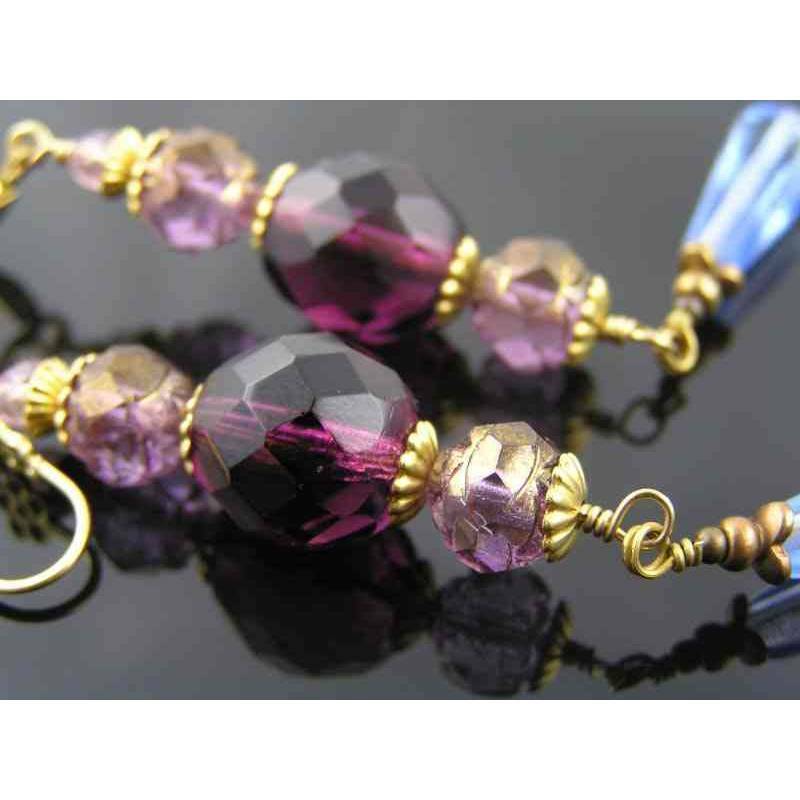 The beads are wire wrapped and threaded onto solid brass wire together with golden brass bead caps and then connected to secure flower lever back ear wires. 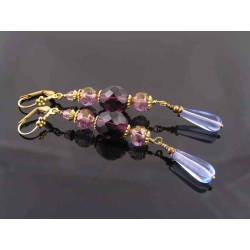 - Total length is 8.5cm. - All metal is solid brass, treated to prevent early tarnishing.